I had ordered a Christmas quilt kit. The fabrics were beautiful, the design was nice… but I knew it could be so much more. It was just missing something. I counted the squares, 18… and I realized that I had about that amount in Christmas card pictures from our kids growing up. I went on a mad 2 day hunt looking through boxes for all my Christmas pictures until every year had been accounted for. While rifling through boxes I discovered not only the pictures I was looking for, the extra pictures nobody had really seen, but also I had found extra cards that I had handmade that were not used. 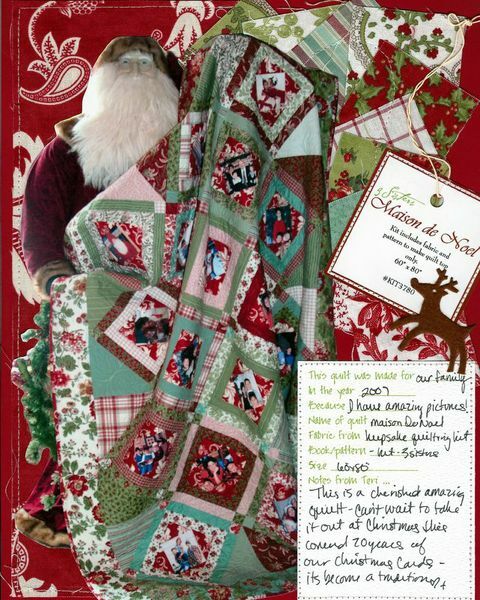 After gathering everything up, I used quilting transfer fabric and made my pictures into fabric .Taking the now fabric Christmas pictures I made them into my center quilt squares. The quilt now had what I felt was missing- 20 years of my babies at Christmas. It turned out exactly how I wanted it, so very special and is usually the first Christmas piece we put out every year! 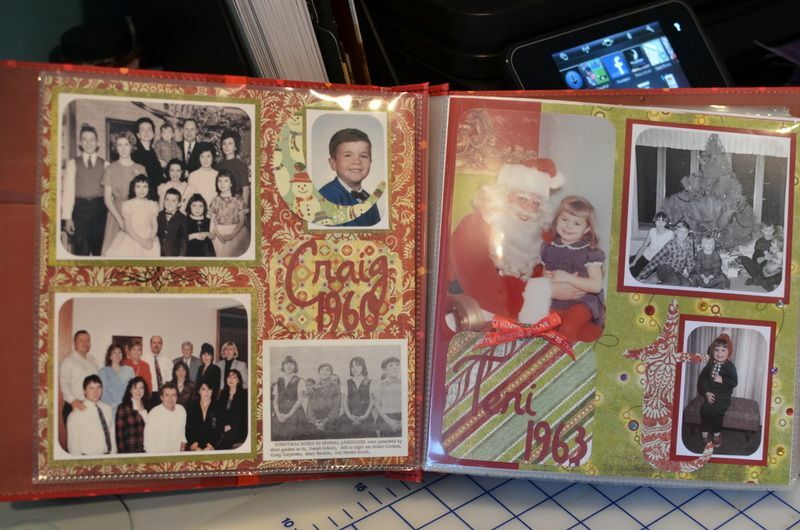 With the quilt done, and having all my Christmas pictures now organized, I decided to go off the idea of my scrapbook recipe book. I made four books, for my kids and myself. 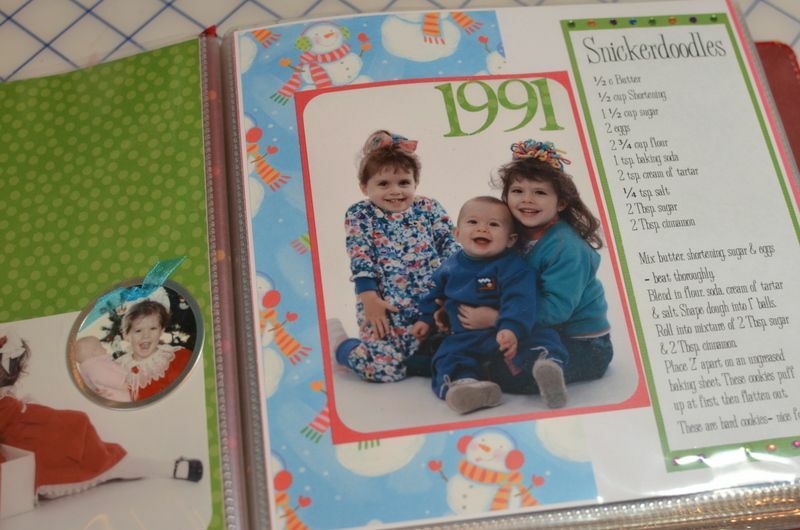 Every year has the picture we used for the card, the year it was taken, the extra pictures that no one got to see and a spot for a favorite cookie, candy or bar recipe .I even used the actual leftover cards that were never used. Whoever can post what they think we are all laughing at in the 2005 Christmas photo is the winner…. Bahaha well to the anonymous responder, nicely put and yes! Lol! You are the winner. Next question… Which of the 5 people put it there? ?